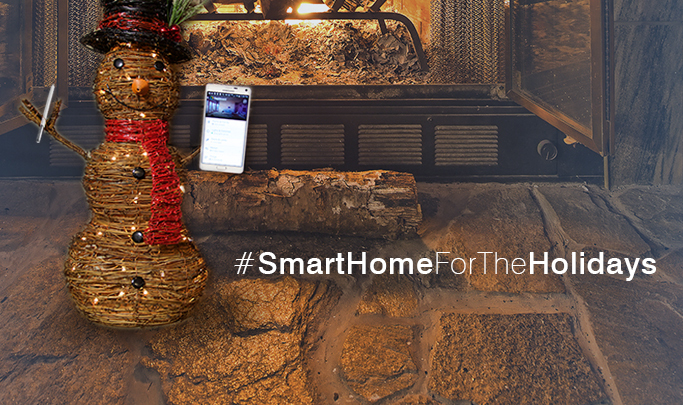 To kick off this merriest of months, we’re debuting a little something we call Smart Home for the Holidays. During the next 12 days, we’ll be unveiling 12 playful ways you can use SmartThings to control and automate your ho-ho-home this season. Be sure to check back each day for a new use case and illustration! In honor of our brand-new Holiday Kit, today we’re featuring two practical holiday-themed use cases that anyone can do with a SmartThings Hub, Open/Closed sensor, and SmartPower Outlet. Want to control and automate your Christmas tree, outdoor decorations, or electric menorah with SmartThings? Cash in on our limited-time offer to get $30 off our Holiday Kit. But be sure to hurry: This deal runs out at 11:59 pm EST on Wednesday, December 3.